LIFX just made a new bulb called the LIFX Plus that allows you to see better in the dark using infrared. Your room can now have a light bulb that emits infrared when the light is turned off. This allows security cameras that use IR to extend their view at night. We just got our hands on one and were able to test it out. In this LIFX Plus review we are going to see how well it works and if it’s worth the extra money. If you are familiar with LIFX, you will know that they make a solid smart light. We have written recently about LIFX and their third party apps and also how it compares against Hue. The LIFX Plus is very similar to the LIFX Color 1000 which has an wide color range, warm and soft whites, and is extremely bright. The only difference is that the LIFX Plus has infrared, but everything else is the same as the Color 1000. If anything, this is good news because the original bulb was such high quality. The first thing I did when I got it setup was figure out how to turn on the IR for the LIFX Plus. After going through the app and looking at the instructions and neither of them said anything about it, I realized that the infrared just turns on when the light is off. 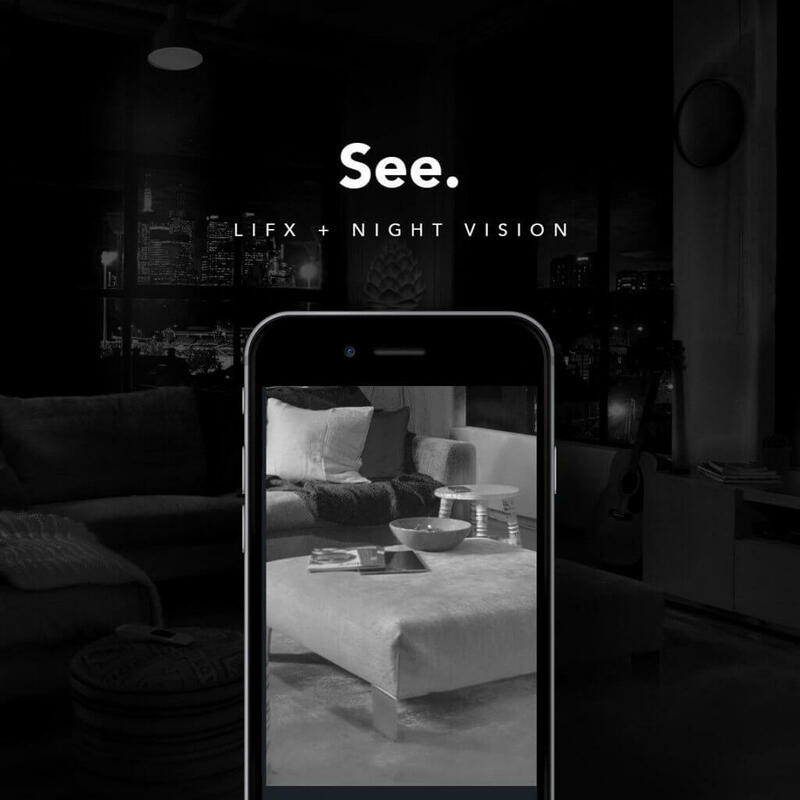 (Update) LIFX just updated their app so you can turn off the infrared or adjust the brightness. 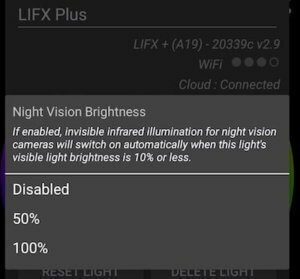 To turn off the infrared, go into the settings for the LIFX Plus in the app. For me to turn the IR off, I had to unplug the lamp. Below you can see what the front room looks like without any extra infrared. Can you see me by the front door? I plugged the lamp back in and stood across the room by the front door. Now you can see the difference with the LIFX Plus infrared on. Now you can slightly see me at the front door. As you can see, the infrared from the LIFX does help. The camera I am using is only 720p and I am far away from the light. So this isn’t a fair test because in a real situation where a break in was happening the burglar would be walking around. So for a full LIFX Plus review I took videos of both the IR on and off while walking. This should give you a better idea of how the IR from the bulb helps. Watching the video, it’s clear that there is a difference with the infrared on and off. 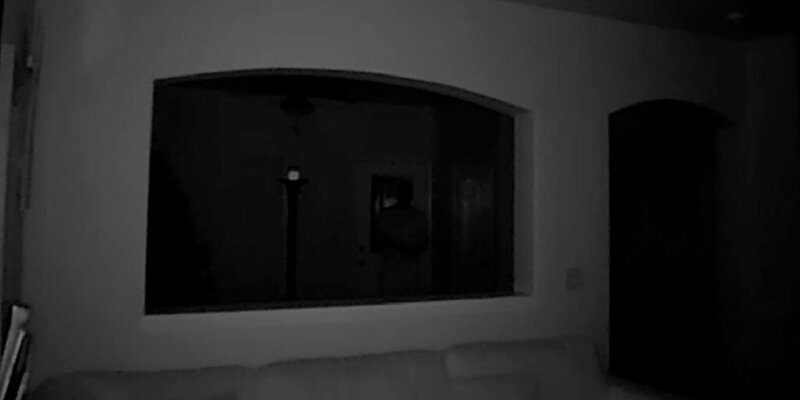 I was hoping the IR light would be a little bit brighter, but you can still see me better in the video with IR. I tried with the lamp shade on and off to see which one did better. When I had the lamp shade on, the infrared seemed to illuminate further. Most security camera’s IR light can only reach about 15 feet. You might be fine with this distance living in an apartment, but maybe not so much in a large house. LIFX Plus fills this void to brighten up those dark spots. The LIFX Plus works with all IR cameras and doesn’t need a hub. This makes adding a bulb to a new or existing smart home setup easy. I would say that if you have an IR camera and are security minded then the LIFX Plus is worth it. 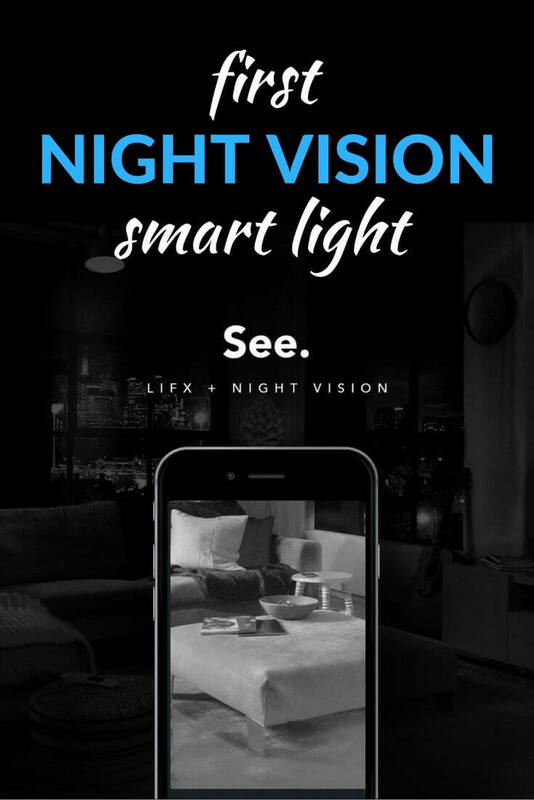 If you already have LIFX bulbs and don’t have many security cameras, then this might not be worth it. Let us know if we missed anything in this LIFX Plus review with a comment below. Great review. Although it’s short, it gave all the info that I wanted. In particular, the IR works exactly as I had assumed it would. Just need more suppliers in the UK. No competition at the moment for LIFX products and therefore no offers or bulk discounts! Just picked a couple of these up and was testing it out. So unless I got a defective unit or I don’t know what I’m doing, it seems like the camera’s IR needs to be turned on and active in order for this to work. I tried turning the camera’s IR off and also using a different camera with no IR to see if I could pickup the IR light emitted from the Lifx+ bulb when it’s in the “off” state but there is no illumination whatsoever. Is this how it’s supposed to work? I’m a bit confused…. I can understand where you are coming from and it can be a bit confusing. Typically IR cameras have two modes, day and night. When a camera is in day mode and it’s dark, it won’t see the IR from the LIFX Plus. But when you put the camera in night mode it only shows IR light. Usually cameras will have an auto mode so that you don’t have to change modes when it’s dark. So yes you are right. To utilize the LIFX Plus IR light you need an IR camera and it has to have IR (or night) mode turned on. Thanks for confirming! It’s a shame it doesn’t work the way I thought… for some reason I thought *any* camera (with or without IR) would be able to see in the dark with one of these bulbs in place. 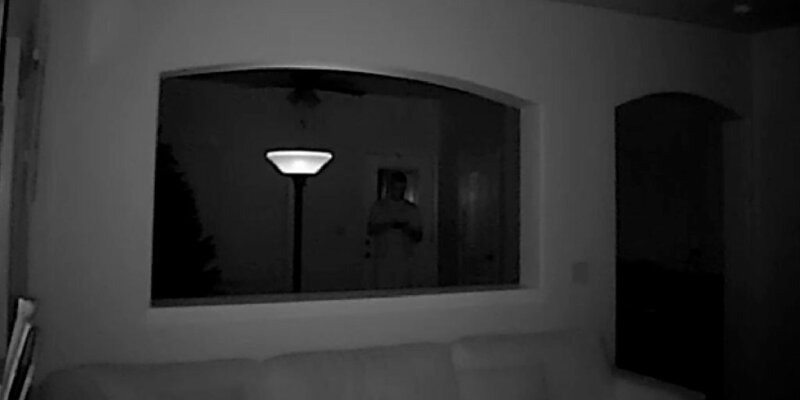 I have a set of the Blink cameras and those don’t use IR for night vision but rather an illuminating bright white LED which can be irritating. I was hoping to place a bulb in the same rooms the Blinks are in so I could disable the built-in illumination LED 🙁 If this is the case, I don’t think I’ll have much use for the bulb(s) since the only other camera I have is the one we’re using as a baby monitor, and that one doesn’t really need supplemental IR light as it’s pretty sufficient as-is. Bummer. My wife was thinking the same thing before our camera’s IR switched on, so I can definitely see how it is confusing. Hopefully you are able to get it returned easily. Too bad the music visualization feature is totally bogus.